On the first day of building a “stock bridge,” they cut dead trees and made stringers, the long beams underneath the treads of the bridge. “The second day a thunderstorm rolls in,” Paul said. Because of the lightning, they dropped their tools and ran back to camp while being pelleted with two inches of hail. The crew quickly dug trenches and pushed shovels up under the tarp that was collapsing over them. “Hikers kept coming down from the trail. One guy wasn’t making any sense. He was in the early stage of hypothermia,” Paul said. A public health nurse, Paul immediately found him a down jacket and heated some food. That night, cold, damp, and exhausted, the volunteers scrapped their planned menu and cooked mac and cheese. “It was one of the best meals ever,” Paul said. Paul Cardinet is the leader of the PCTA’s Can Do Crew. 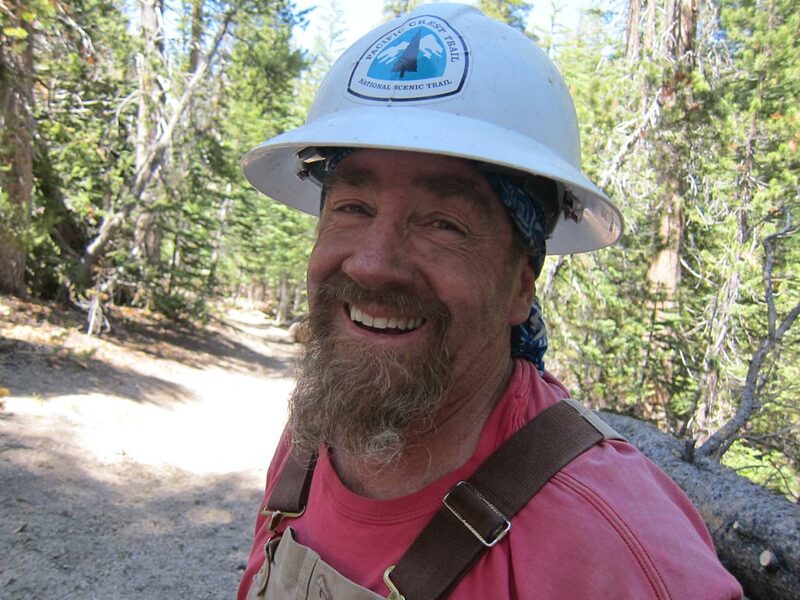 Paul is the leader of the PCTA’s Can Do Crew that works on a 30-mile section of the PCT between Donahue Pass in Yosemite National Park and South Crater Meadow in the Ansel Adams Wilderness. They host volunteer projects every summer. Keith Dawley, Northern Inyo Trails Supervisor for the U.S. Forest Service, led the crew on their first trip, testing whether the volunteers were up to the demanding tasks he needed done. “I kept trying to challenge them with increasingly difficult projects.” he said. 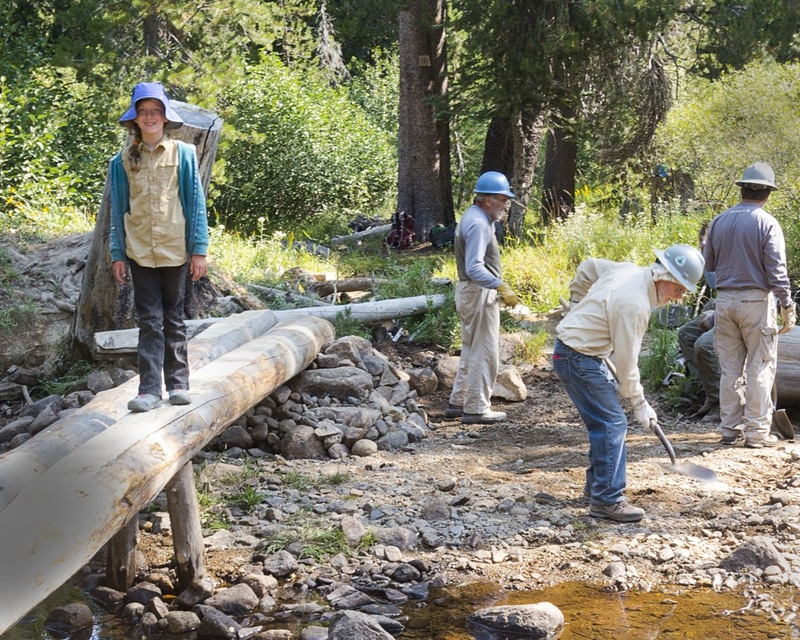 Each summer, Keith Dawley, Northern Inyo Trails Supervisor for the U.S. Forest Service, assigns the Can Do Crew to challenging projects, like building this bridge. 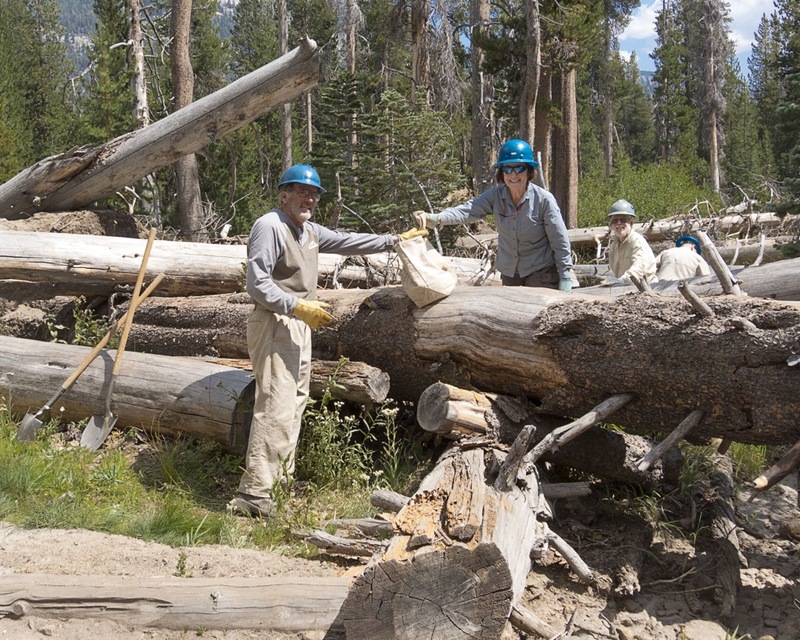 In 2012, after a windstorm toppled thousands of trees in Reds Meadows, the Can Do Crew worked for two weeks in the spring and two weeks in August clearing trails. “Last summer, they replaced three PCT footbridges in Reds Meadow and filled in a 9-cubic-yard rut in the Agnew Meadows trailhead,” Keith said. Six years ago, the crew started doubling up on trips, working one week in the backcountry, then another week car camping to tackle projects closer to the trailhead. Paul also volunteers at Mount Diablo State Park, a 20,000-acre park in the San Francisco Bay Area. In 2012, a record windstorm knocked down thousands of trees around Reds Meadow. That year, the Can Do Crew spent four weeks clearing the trail. This summer Paul and Mark will celebrate their 20th consecutive year of volunteering in the Inyo National Forest. “Paul’s great. He cares. He cares about everything, how the crew is doing, the food, the Forest Service people. He wants to make sure the work is all done well. He’s a really good guy,” Mark said. There are dozens of others whom Paul praises for mule-packing supplies and tools, bringing trail maintenance skills or helping in whatever way they can. They include Harlan Polk, who in his 80s, inspired them all by hiking up 9,700 feet nine months after having a quadruple bypass. “He would do anything you wanted him to do,” Paul said, which is the attitude of the Can Do Crew. “ ‘How are we going to do that?’ the crew members ask each other at the start of each challenge. But we find a way to make it work. We always have an ‘I can’t believe we did that’ moment,’ ” Paul said. It explains why they picked up the name Can Do Crew over the years. 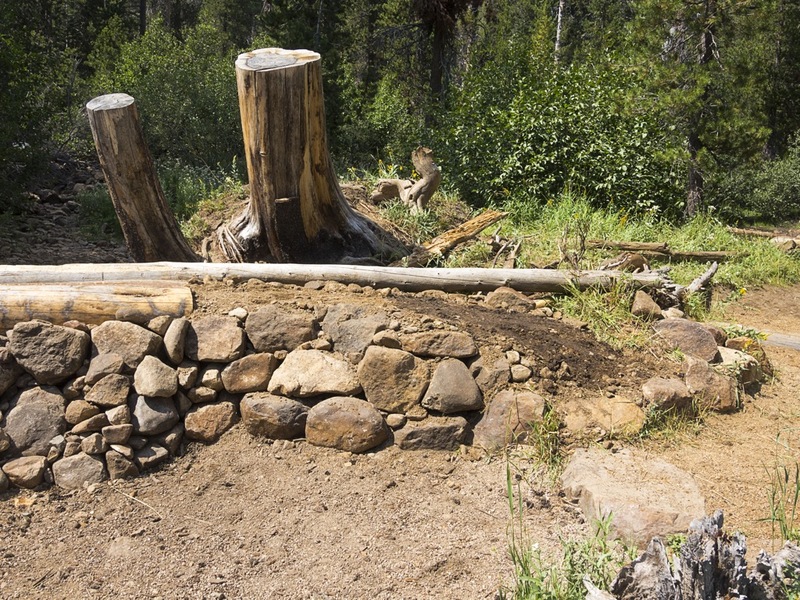 Rock work is one of Paul’s favorite tasks on the trail. “It turned out, there’s nothing they couldn’t do. They have exceptional skills. They are a really good group. The whole group is deserving of some kind of award. I am amazed by their dedication,” said Keith, the Forest Service trails supervisor, who with 1,200 miles of trails to manage, appreciates the PCTA volunteers’ work. Seven years after the Can Do Crew built the Golden Gate Bridge, they returned to the original area and rerouted the trail to help protect the Yosemite toad, whose habitat was being damaged by runoff. The crew built two bridges for the reroute and visited their original construction project. “When we went back, we couldn’t believe how small it was,” Paul said laughing. “It’s real rewarding working together. It’s the camaraderie of working together and what we can accomplish together,” that unites the crew, he said. 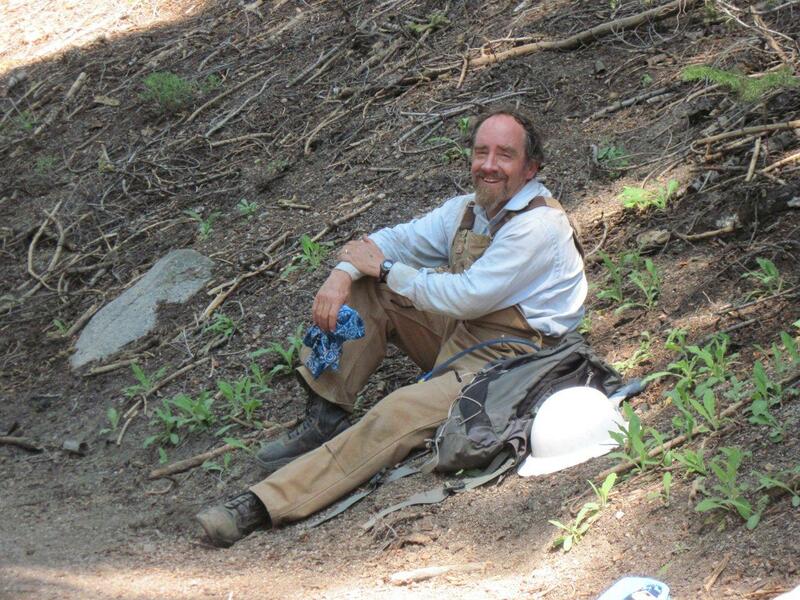 Paul Cardinet has led projects on the PCT in the Sierra Nevada for nearly 20 years. He started volunteering on the PCT at age 35, when his uncle invited him to join his crew for a long weekend. Humble in all he does, Paul never mentioned that his uncle was George Cardinet, who is considered a pioneer of the national and California trails systems. Coincidentally, Mark’s father, a former chief administrative officer for wilderness areas, worked with Paul’s uncle. Paul and Mark did not know this shared family history until they’d been volunteering together and had become close friends. It’s part of the camaraderie of the PCT. The Can Do Crew’s summer maintenance projects are popular and fill up quickly, but they do welcome new volunteers with “Can Do” attitudes. Find out how you can get involved.